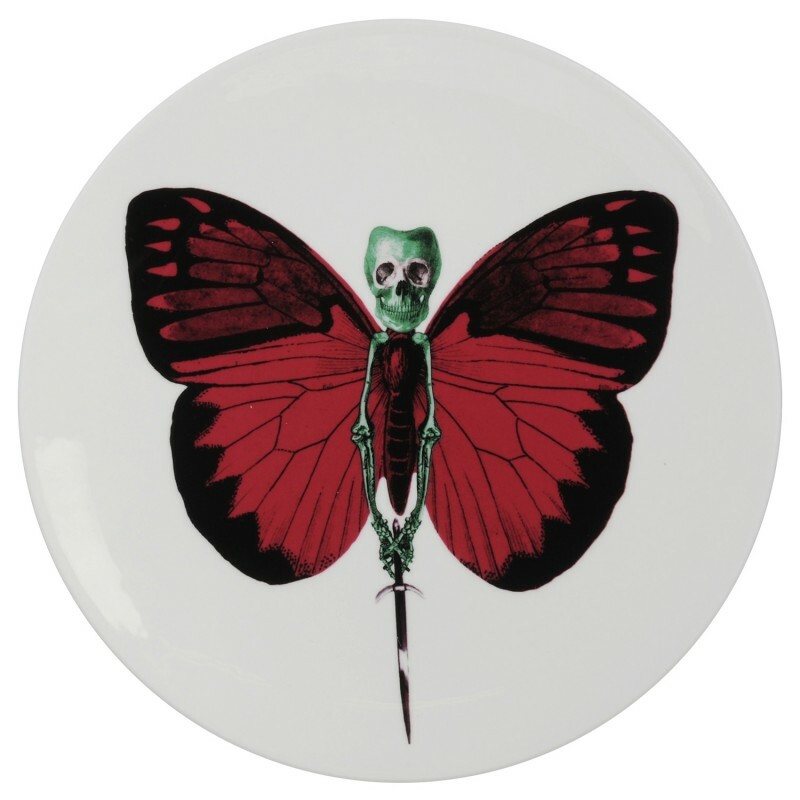 The Lepidoptera Vix Plate is decorated with complex, multi-layer, screen printed and hand applied lithographs with accents of 22kt burnished gold. Equally at home on a table, a wall, or display. These exquisite plates are as much a piece of art as they are functional objects. Founded in 2009 by Paul Bishop and his wife Judith, The New English sets out to create products which surprise, soothe and make people smile. By bringing together Stoke on Trent’s 250 year heritage of manufacturing skills and techniques with the brightest of today’s design talent, The New English produces pieces of exquisite quality combined with a searingly fresh design influence.